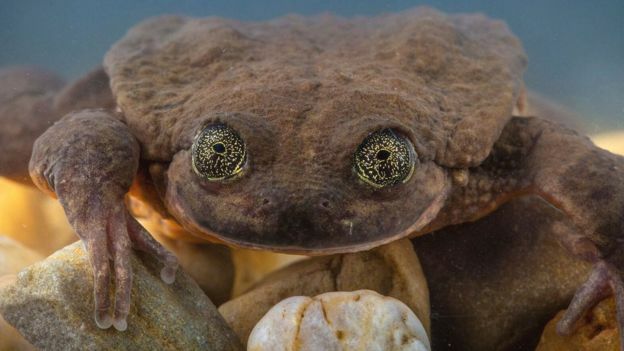 A frog believed to be the last of his kind in the world has been granted a reprieve from solitude. Romeo, known as the world’s loneliest frog, has spent 10 years in isolation at an aquarium in Bolivia. Scientists say they have found him a Juliet after an expedition to a remote Bolivian cloud forest. Five Sehuencas water frogs found in a stream were captured, with the goal of breeding and re-introducing the amphibians back into the wild. The five frogs – three males and two females – are the first Seheuncas water frogs to be seen in the wild for a decade, despite previous searches in the Bolivian wilderness. Romeo was collected 10 years ago when biologists knew the species was in trouble, but was not expected to remain alone for so long. He attracted international attention a year ago over his search for a mate, and was even given a dating profile. Forest Products Association of Canada (FPAC) welcomes today’s federal decision to have the Canadian Transportation Agency investigate supply chain failures in British Columbia’s Lower Mainland. Canada’s forest products sector relies on an efficient and reliable transportation system to move our products through Canada to global markets. Over the past two years, system congestion through the Lower Mainland of B.C. has created real challenges for Canadian forest products companies. Last year alone, rail delays and bottlenecks cost the forest products sector over $500 million dollars. FPAC has supported calls for the federal government to complete a comprehensive diagnostic around these transportation system failures. “We need to get to the bottom of why these transportation blockages are happening,” said FPAC President and CEO Derek Nighbor. “…We need to ensure the system in the Lower Mainland is able to respond to the current and future needs of Canadian exporters,” Nighbor added. West Fraser announced further curtailments for approximately three weeks of production throughout the first quarter of 2019 at their Chasm, 100 Mile House and Chetwynd sawmills. The Williams Lake sawmill will be shut down for approximately one week to complete certain capital upgrades. …Cariboo-Chilcotin MLA Donna Barnett calls the curtailments inevitable. …“You’ve got tariffs from the United States, you’ve got [a] new carbon tax, you’ve got this new healthcare tax, you’ve got a permitting process that has become so onerous and so expensive and so time-consuming. You’ve got pine beetle wood… a lot of it you can’t utilize. So when you have to pay stumpage and… the price of lumber is down, it’s inevitable and it’s sad.” The cost of business is going up but the cost of the product isn’t, she says. 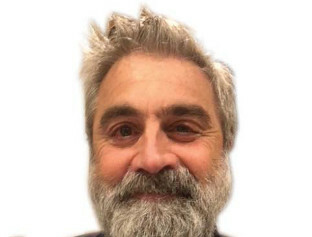 …Larry Gardner, Vice-President, Canadian Woodlands at West Fraser. …“Our curtailments are not directly related to that [AAC] reduction. The market for lumber slowed considerably in the second half of 2018 as the Chinese economy lost momentum and trade disputes with the U.S. persisted. The United States has cultivated a strong export market for lumber products in China. Prior to the escalating trade war, the American Hardwood Export Council stated that the growth of the Chinese market would be “unlike anything ever encountered in this industry.” The Council predicted that in the near future 60 percent of American hardwood goods will be exported from the U.S., with 54 percent of exports bound for China. …Producers of southern yellow pine exported 41 percent more to China in 2017 than they did in 2016. But softwoods weren’t alone in the rebound. The import value of U.S. hardwood products to China reached a record high of $323 million in 2017. …While Canada supplied 95 percent of U.S. lumber imports in 2016, that percentage declined to 91 percent in 2018. According to latest figures, the general conditions in the EU wood products market were positive during 2017. Reported timber consumption increased by 4%, reaching €123bn. Extra-EU28 imports of wood products amounted to €8.8bn, reflecting a 4% increase compared to 2016, with the key suppliers being China, Russia and the US. Exports also increased in 2017, exceeding €11.8bn. These trends are in line with general acceleration in the pace of economic activity in the EU, which continued into 2018, driven by internal demand recovery and good performance in exports. The growth of the construction sector, in particular, picked up in the EU, and the industry’s provisional forecast for 2018 into 2019 is also moderately optimistic. …Our key priority is to ensure a level-playing field for European woodworking industries, both for their wood raw material procurement and their sales of semi-fi nished and finished wood-based products. KOTA KINABALU: Research has found that cross laminated timber (CLT) could be the future of the wood and building industry in Sabah; although it appears there is a mountain to climb before proponents see a wooden skyline in the state. 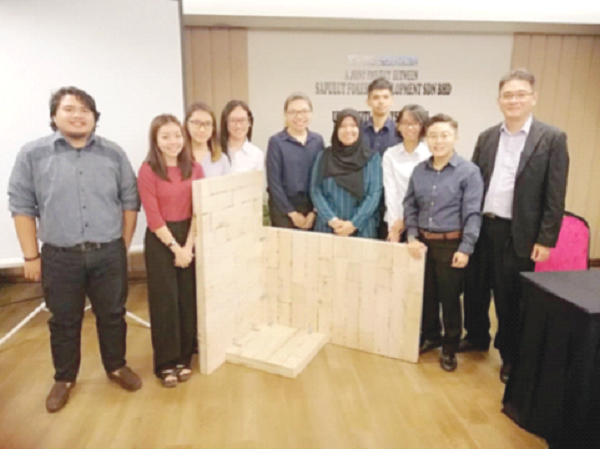 The eight-month joint research between a team of University Malaysia Sabah wood technology and industry final year students and Sapulut Forest Development Sdn Bhd has shown promising results to suggest that tall buildings can be built using timber. CLT however is not a new concept for it has been used in other countries, most notably in Vancouver, Canada, where the world’s tallest building with a timber structure, Brock Commons Tallwood House, is standing at the height of 53 metres. Closer to home is Nanyang Technological University (NTU) in Singapore. It will be Asia’s largest wooden building when completed. Washington, D.C. and Ottawa, ON — The Sustainable Forestry Initiative Inc. (SFI) is pleased to name Melina Gerosa Bellows as SFI’s Chief Education Officer. She oversees the overall strategy and implementation of initiatives under SFI’s Education pillar. Prior to joining SFI, Bellows worked at National Geographic for 17 years, where she created and launched the award-winning National Geographic Kids brand and served as Chief Education Officer overseeing all of the children’s businesses. Bellows is also a best-selling author and an award-winning freelance writer and blogger. “Melina is a visionary leader who believes in the power of words and education to transform lives and the world we all share. Her ability to reach and inspire youth, combined with SFI’s rapidly growing presence in the education space is going to have a huge impact on the next generation and how they care for forests,” said Kathy Abusow, President and CEO of SFI Inc. Councillors in Sechelt are expected to vote Jan. 16 on approving $325,500 in grants from the Sunshine Coast Community Forest’s Legacy Fund. A letter from Peter Moonen, chair of the Legacy Fund Assessment Committee, said the committee received more $900,000 in requests for support, which was more than twice the amount available in the fund. The committee has recommended seven grants for approval… If they’re all approved as recommended, the grants will leave the fund with approximately $57,000, which will be topped up when the next round of dividends from logging operations come in to the district. In his third quarter report, Community Forest chair Geoff Craig predicted that with net income as of Sept. 31 at $1,278,378, last year could be the corporation’s best in terms of financial performance since the Community Forest was established in 2006. B.C. residents can now apply for a chance to receive a $500 award from FireSmart Canada to help their communities hold FireSmart activities or events on Wildfire Community Preparedness Day, May 4, 2019. Wildfire Community Preparedness Day is part of an annual campaign by FireSmart Canada, and encourages neighbours to work together to reduce the risk of wildfire damage in their communities. Given the unprecedented 2017 and 2018 wildfires and the growing impact of climate change, it is important for homeowners and communities to do their part to become more “FireSmart.” Wildfire prevention is a shared responsibility, and communities need to be prepared for the upcoming 2019 fire season. We have come to visit the traditional territory of the Kwiakah First Nation, once one of the largest bands in what is now BC. But today it is one of the smallest, with just 22 members remaining. Their territory lies within the Great Bear Rainforest. …It is touted by the province as a “gift to the world” for protecting 85 per cent of those forests. But the Kwiakah, in the far south of the designated area, say that, under the agreement, logging in their territory will increase, and that this deal negotiated by the timber industry, province, environmental NGOs and First Nations came largely at their expense. …The Kwiakah and Western Forest Products have been negotiating, but the Kwiakah feel burned by previous dealings. The band remains concerned about Western’s application to amalgamate its Tree Farm Licences, which would allow it to potentially harvest its full 275,000 cubic meters annually from Phillips Arm. Bark beetle invaded tens of thousands of untouched acres of Colorado forests last year as trees suffered under record-breaking heat and extreme drought, says a new report by the Colorado State Forest Service and the U.S. Forest Service. Spruce beetle attacked 178,000 acres of Engelmann spruce. Although that’s fewer than in 2017 and 2016, about one-third of the acres hit last year were in previously unaffected areas. …Last year’s drought, the second worst in 124 years, and record-breaking heat were largely to blame, said Dan West, an entomologist with the Colorado State Forest Service. “That has wide-reaching impacts as the trees are less defended and their susceptibility to invasion goes up,” West said. …A tree’s two chief defenses against bark beetle both hinge on precipitation, West said. BILLINGS, Mont. — Wildlife advocates on Tuesday urged Montana officials to ban trapping along much of the state’s border with Idaho to protect an isolated population of cat-sized predators living in old-growth forests. Representatives of five environmental groups said in a petition to Montana wildlife commissioners that trapping is a serious threat to the Northern Rockies fisher, a fanged predator that feeds on porcupines and once ranged across at least five states. They are now limited to an area straddling the Montana-Idaho border. …Federal wildlife officials in 2017 said fishers were not in danger of extinction after a months-long review found no evidence of decline because of trapping, climate change, logging or other potential threats. Flathead National Forest Supervisor Chip Weber… said about half a dozen of his colleagues are excepted from the federal furlough, meaning their jobs must go on although they aren’t getting paid. The rest of the national forest’s roughly 160 full-time-equivalent staff are ordered to stay home. …So that means someone has sent emails to hundreds of wildland firefighters asking if they are available for work this summer, but no one is on hand to start training and certification classes. Montana Department of Natural Resources and Conservation fire trainers are at work. But the advanced fire management classes needed by incident commanders go through an interagency training program led by the federal government. 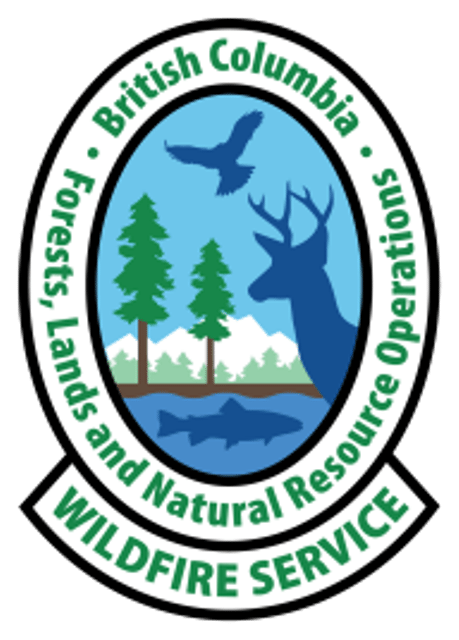 …Forestry and recreation planning staff cannot plan for timber sales and trails maintenance. And those are the people who often serve as the eyes and ears for the two law enforcement officers. The European gypsy moth (EGM) is perhaps the country’s most famous invasive insect—a nonnative species accidentally introduced to North America in the 1860s when a few escaped from a breeding experiment in suburban Boston. The caterpillars have been slowly eating their way across the continent ever since, causing widespread defoliation. In research that could lead to better bioinsecticides to protect forests and orchards, Drs. 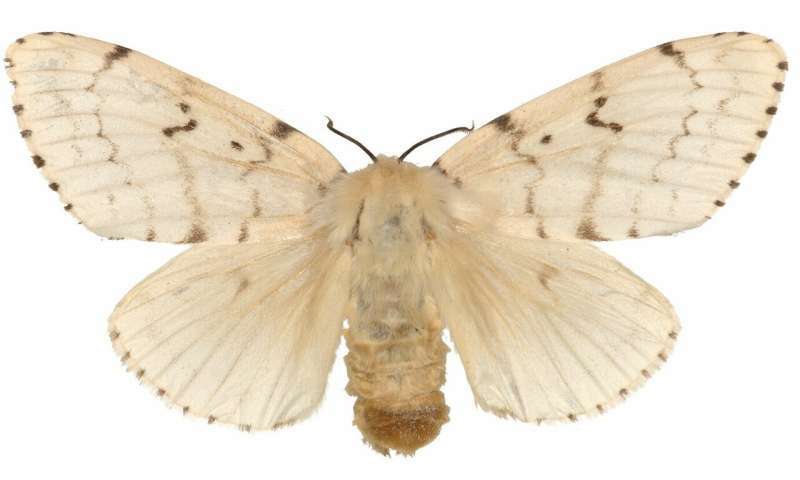 Don Gammon and Nick Grishin of UT Southwestern have sequenced the genomes of the EGM and its even more destructive cousin, the Asian gypsy moth (AGM). Their work, published in the Proceedings of the National Academy of Sciences, finds that the gypsy moth has the largest moth or butterfly genome (number of DNA base pairs) ever sequenced. On a chilly morning last week, I was bussed to a confidential location in Kent to witness the first confirmed outbreak of Ips typographus, the European spruce bark beetle, on British soil. I joined a collective of forestry professionals and government officials to discuss a problem that has ravaged forests on the European continent for decades. In Sweden alone, this species has led to the loss of 9 million cubic metres of Norway spruce timber since the 1960s. Once infected, Ips beetles can kill a tree in a single year. The invasion of the UK by non-native pests and diseases has become profoundly worse in recent years. There has been a 400% increase in the rate of new plant pathogens entering the country since the 1960s, with 10 added to the list every month. The U.S. Energy Information Administration has released the January edition of its Short-Term Energy Outlook… Wood biomass is expected to be used to generate 118,000 MWh per day this year, increasing to 119,000 MWh per day next year. Generation from waste biomass is also expected to increase, from 58,000 MWh per day this year, to 59,000 MWh per day next year. In the electric power sector, wood biomass is expected to be used to generate 49,000 MWh per day this year, increasing to 50,000 MWh per day next year. Generation from wood biomass is also expected to increase slightly, from 41,000 MWh per day in 2019 to 42,000 MWh per day in 2020. 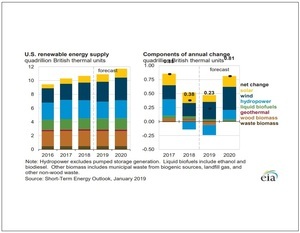 …The EIA predicts total biomass power capacity will reach 7,358 MW by the end of 2019, up from 7,201 MW in 2018. By the end of 2020, total biomass capacity is expected to grow to 7,401 MW. …In 2020, wood biomass capacity is expected to increase to 3,188 MW. 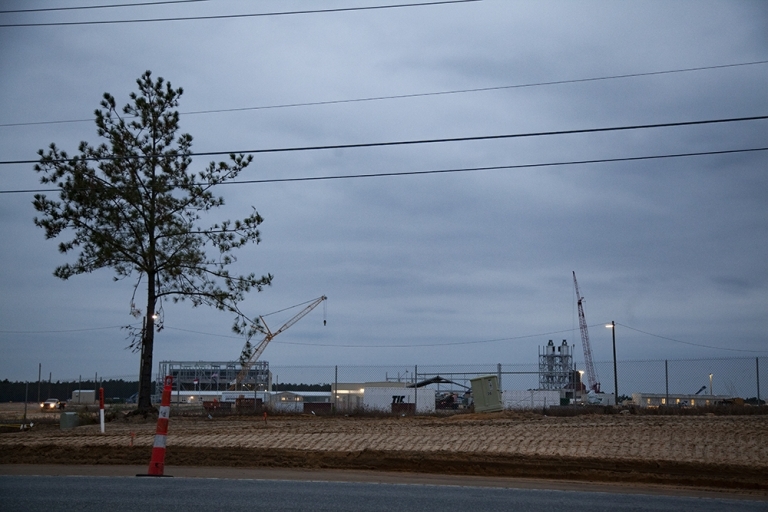 The controversial Enviva wood pellet plant in Hamlet (North Carolina) has received a key state permit that would allow it to pulverize more logs and ship the pellets overseas to be burned as fuel. As Policy Watch reported in November, Enviva had asked the Department of Environmental Quality to modify its air permit in more than a dozen ways. The most significant request was an increase in production of pellets from 537,000 oven-dried tons per year to 625,000. The Maryland-based company also wanted to change with the mix of softwoods and hardwoods it would use. …DEQ said in its press release that after considering public comments, the agency required additional pollution monitoring and controls on the plant. For example, Enviva will now have to test for particulate matter, including PM 2.5. Dr Antti Kilpeläinen and Professor Heli Peltola explain how boreal forests and forestry play a crucial role in climate change mitigation. Boreal forests and forestry play a crucial role in the global carbon cycle and climate change mitigation. The use of boreal forests and forest-based biomass (timber and energy biomass) responds to the increasing demand for renewable energy and wood-based materials. Using wood-based materials and energy biomass from sustainably managed forests has great potential for the long-term reduction of carbon emissions. Sustainable climate change mitigation requires increases in carbon sequestration and carbon stocks in forest ecosystems (soil and tree biomass) and related technosystems (i.e. outside forests). VTT Technical Research Centre of Finland Ltd has developed a new technique based on gasification, which offers a sustainable way to turn forest industry byproducts, such as bark, sawdust and forestry waste, into transport fuels and chemicals. The new technique reduces carbon dioxide emissions by approximately 90% compared to fossil fuels. …According to the International Energy Agency (IEA), modern bioenergy plays a key role in building a cleaner and more sustainable energy system. …the IEA estimates that bioenergy will be the most rapidly growing form of renewable energy between 2018 and 2023. …Bioenergy is needed, in particular, for reducing emissions from air transport and shipping and as a back-up fuel for road transport as more electric cars are introduced. The use of forest industry by-products… as raw materials does not impact on the carbon sink effect of forests, and they do not compete against forest industry raw material procurement or food production. 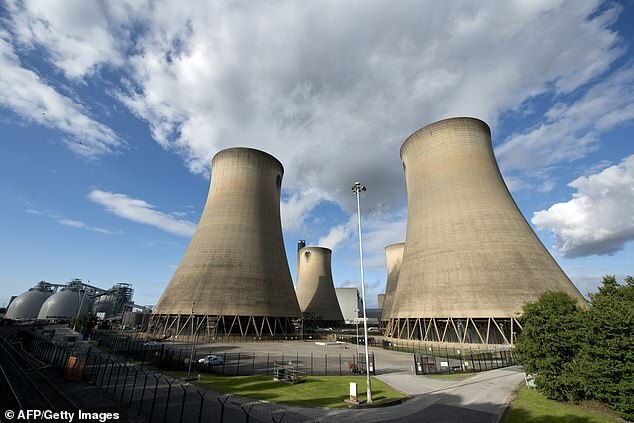 Controversial subsidies for burning wood in power stations could be scrapped in the drive to clean up Britain’s air. Firms that burn wood pellets currently receive about £1billion a year because, unlike coal, these are considered renewable sources of energy. But critics say burning wood produces similar amounts of carbon dioxide to coal, contributing to air pollution. It also increases the logging of forests in the US, while shipping them to Britain in vast quantities has a further negative effect on the environment. The U-turn comes after years of state support for ‘biomass’ such as wood pellets… The clean air strategy includes proposals to scrap some subsidies paid under so-called ‘contracts for difference’. When it comes to fighting global warming, trees have emerged as one of the most popular weapons. …Forest schemes got a big boost from the 2015 Paris climate accord, which for the first time counted all countries’ efforts to offset their carbon emissions from fossil-fuel use and other sources by planting or protecting forests. 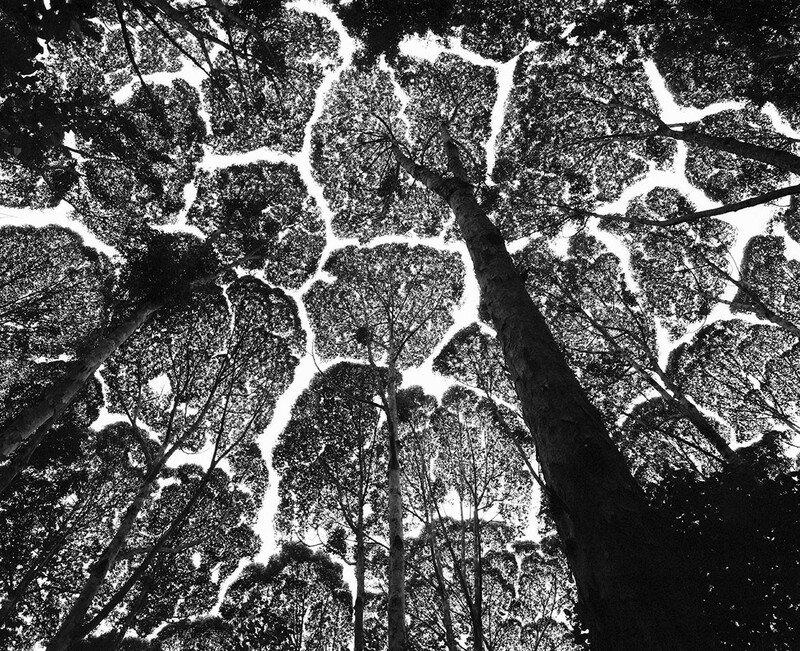 …Many scientists applaud the push for expanding forests, but some urge caution. …Such concerns have prompted vigorous debate among scientists about how forests in different regions have warming or cooling effects. …If tree-planting programmes work as advertised, they could buy precious time for the world to reduce its reliance on fossil fuels and replace them with cleaner sources of energy. One widely cited 2017 study estimated that forests could provide more than one-third of the total CO2 reductions required. …Such schemes required firm data on how much carbon is locked up in forests.